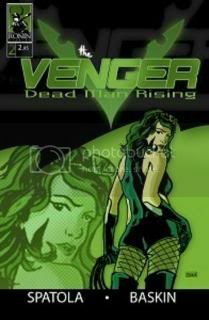 The Venger: Dead Man Rising #2 is at the printer!! It feels so good to finally be able to type those words. After many twists and turns and personal and professional upheavals all the files were sent to the printer last weekend and I will have my copies in a few short weeks. So much time and energy has been spent on this project, both by me and by Tim that the thrill of knowing that we are almost there is very exciting, for me anyway. My thanks go to all of you who purchased the first issue and have been more than patient waiting for this one. 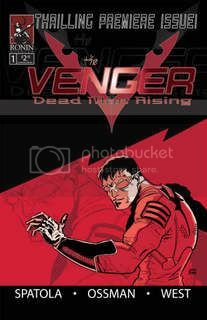 I truly hope you enjoy it and continue to stick with the title and all the other Venger projects.